Rehabilitation of pregnant women. Postpartum physiotherapy. Pelvic floor therapy. Are you suffering from incontinence, pain during menstruation or pain in the spine? Are you struggling with the separation of straight abdominal muscles or a scar after a cesarean section? Are you planning to get pregnant and would you like to prepare your body for such an important condition? We offer a wide range of therapeutic services, adapted to your problem. Before the first appointment, consult your gynecologist and ask him to issue a certificate of no contraindications to physical rehabilitation. Postpartum rehabilitation should be started as soon as possible, already in the first days after giving the birth. During the postpartum period, a high level of relaxin hormone supports young mothers with eliminating the perinatal abnormalities. Physiotherapy in puerperium includes the therapy of abdominal and pelvic floor muscles, mobilization of the scar after cesarean section incision/episiotomy, alleviation of pain. 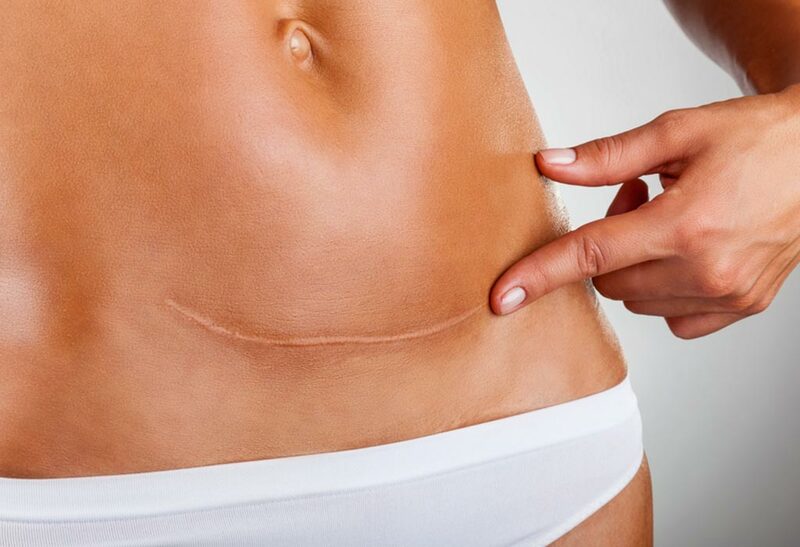 The cesarean scar mobilization is necessary to avoid numerous consequences, such as discomfort at the incision, pain in the area where the scar is situated, pain projected into places distant from the field of surgery. During pregnancy, the abdominal muscle extends up to 15 cm. In this case, the muscle flaps spread sideways. Often, such dysfunction may not heal spontaneously after the childbirth. 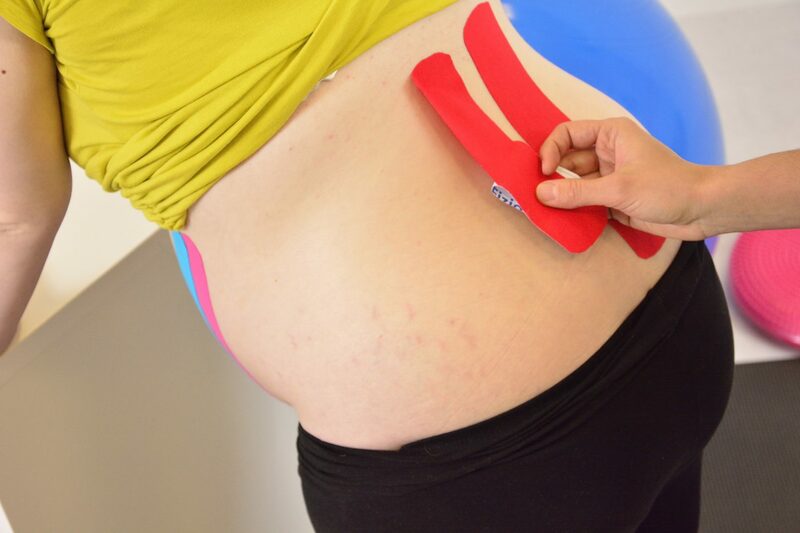 In our treatment, we use manual therapy, functional training and we protect the belly with kinesiotaping technique. Urinary incontinence is associated with a lack of control over your own bladder. Physiotherapy is focused on correct diagnostics and adjustment of pelvic floor function. Kinesiotaping aims to maintain the therapeutic effects obtained during the therapy. Tapes have analgesic and stabilizing effect and stimulate tissues to work. They can also reduce swelling.